Vanity Fair also has an interview with Whit Stillman about the film. 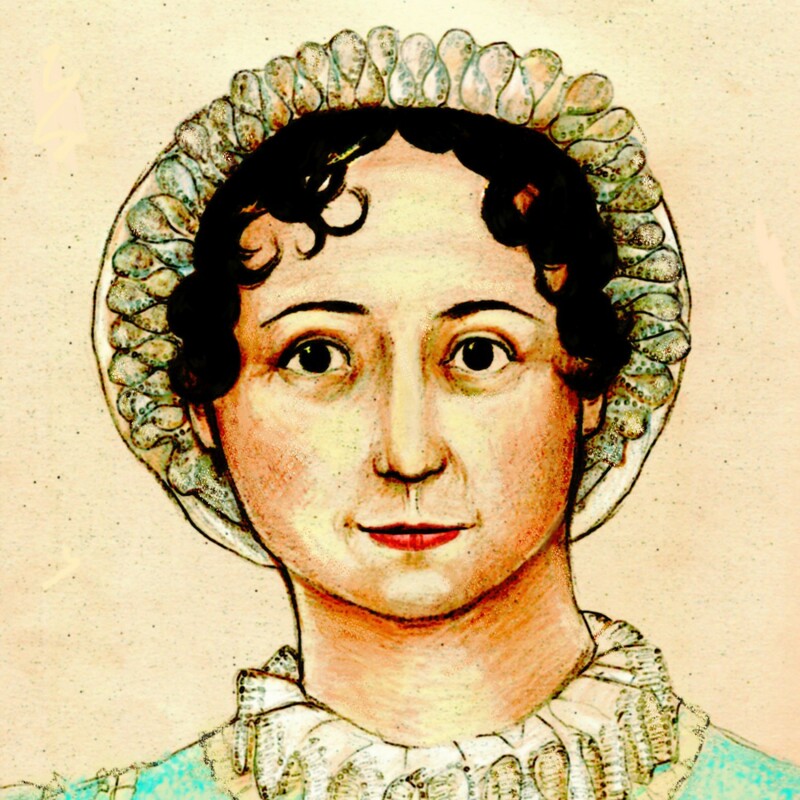 I actually was wrong-footed with Jane Austen. In college, I made the mistake of reading her too early, with the wrong book. So I started, sophomore year, with Northanger Abbey. And I didn’t like it at all. I didn’t get it. And I would loudly tell people that she was overrated and bad for a long time. Well, hopefully he’s read it again! We’re happy to discuss it. WE WILL MAKE YOU LOVE IT, WHIT. That brings up a question. You’re a master of dialogue and don’t need any help in that area. But with Love & Friendship, because there was source material, you must have ended up leaning on Austen for dialogue. How did that work out? Yeah. It’s really rich in Austen dialogue. The problem was that she was still writing in the 18th-century epistolary form—letters between characters. And we were trying to change the letters into scenes and dialogue. And that’s one reason why it was very helpful to me that I didn’t have any deal with this project—it was just on my own. I didn’t tell anyone about it and just worked on it when I didn’t have to work on other things. To make it playable took years and years. We re-read Lady Susan on the plane and took notes (the very nice gentleman in the next seat asked us, “Are you an academic?” and we said, “No, just a nerd”) and we will keep an eye on certain things. So while we gave a bit of side-eye to a few things in this interview, we’re flying across the bloody country in the teeth of a blizzard to see the movie, so obviously we’re hoping for good things. We are seeing the film Sunday night–we couldn’t get tickets to the Saturday premiere–and will report back as soon as possible. We’ve also been seeing a lot of commentary on Facebook about the costumes pictured in the VF article, which we stole for this blog post for educational purposes. “Where are the Regency gowns?” many are asking. The late Austen scholar Brian Southam has estimated that Austen wrote Lady Susan in 1793-1794, so Regency gowns would not be appropriate. However, the gowns pictured seem to be from a few years prior to that date. By 1794, fashion plates are already showing a transition to a higher waist with a very full skirt, which lasted until around 1800, when the slimmer, Greek statuary-inspired look that we all think of as “Regency” became popular. (We welcome those with more expertise to join the conversation…we can just link to photos.) Anyway, they may be a little off, but in our opinion not egregiously so. There has definitely been an attempt to get the details correct, and perhaps the filmmakers have purposely set the film a few years earlier than Austen wrote it. And now we must run if we want to get some fro-yo before getting on the second leg of our flight (and we do). We have run mad AND fainted from this news Mags. Have fun! How exciting, can’t wait to see the first adaptation of Lady Susan!! I hope it will make its way to this side of the pond very soon. Can imagine Whit having a challenging time adapting an epistolary novel on-screen. If Jane Austen herself had found the novel good enough for publishing (or, rather, appropriate enough), I’m sure she’d have revised it. Perhaps it would indeed help having the novel rewritten into an easy reader with dialogue, to introduce the story to popular audiences. I think that the costumes are definitely a step towards the right direction. Considering the date when it was written, perhaps most of the Pride and Prejudice characters would have been wearing dresses like these, too. Very excited! Looking forward to both the film and your comments! Can’t wait to read more ~ have fun Mags. ❤ you. Enjoy the movie and have a wonderful time!!! I think it’s extremely unlikely that Whit Stillman hasn’t re-read the books since his sophomore year at Harvard. His first movie (Metropolitan) is about a heroine who loves Mansfield Park, but likes a boy who doesn’t like Jane Austen (based on Lionel Trilling’s criticism, the character doesn’t actually read novels). I think the 2 characters represent Stillman’s mature reading and immature reading of her books.